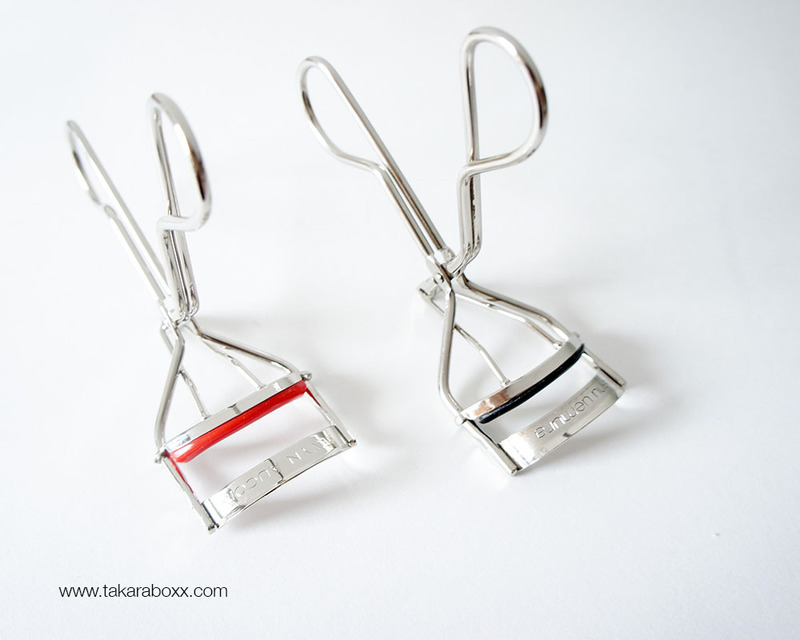 Short comparison post today featuring the Shu Uemura & Kevyn Aucoin Eyelash Curlers. The Shu Uemura Original Eyelash Curler (with a black cushion) has been a long-time favourite and was my very first higher end cosmetic tool. I love it – it fits my eye shape very well and curls my lashes as they should. I should probably tell you : I have asian eyes – they aren’t completely flat, I do have a curvature, probably slightly more pronounced than most but nevertheless a smoother curve than other cultures and races. If you currently own the Shu Uemura eyelash curler then my orbital curve is just slightly flatter than the curve of the curler. 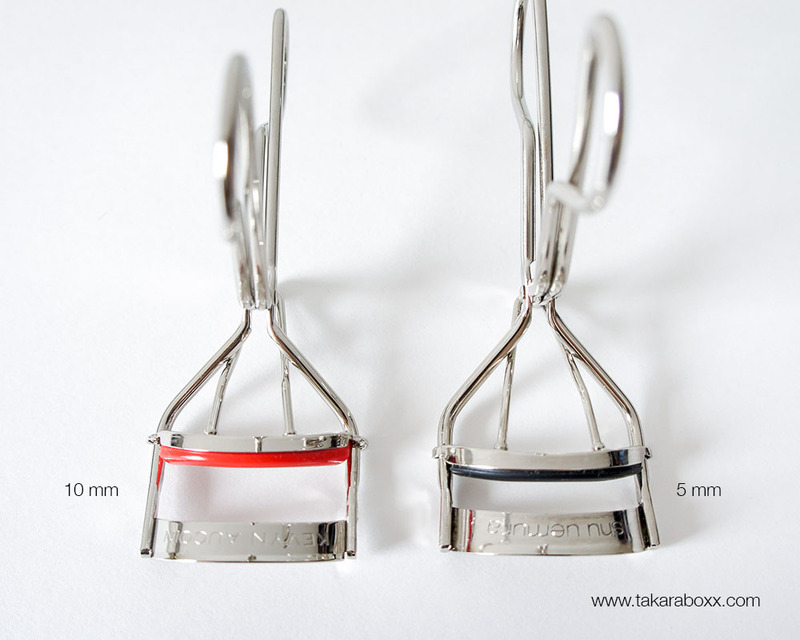 Let’s keep this short – both curlers are of the same built and similar in size. The metal make is pretty much identical up to the size of where your fingers are placed to hold the curler. The most noticeable difference is, of course, the colour of the cushion pads (Shu Uemura being a coal black, Kevyn Aucoin being a bright fiery red). This difference doesn’t change much for me aside from the fact that I mainly use black eyeliners and mascaras so any product that sticks on the curler will be much more noticeable on the Kevyn Aucoin curler and easier to clean that way. The main difference is in the curvature of the curler and the pull-back length. Kevyn Aucoin presents a very slight smoother curve and a 10 mm pull-back length compared to the slightly more convex and 5 mm pull-back length of Shu Uemura. In terms of actually curling the lash, both work phenomenally. I have noticed though, that the Kevyn Aucoin Eyelash curler does give a more natural “curled” appearance versus a forced crimping of the lashes from the Shu Uemura but I imagine some of this difference is from the wear & tear in the cushion pad of my Shu Uemura. 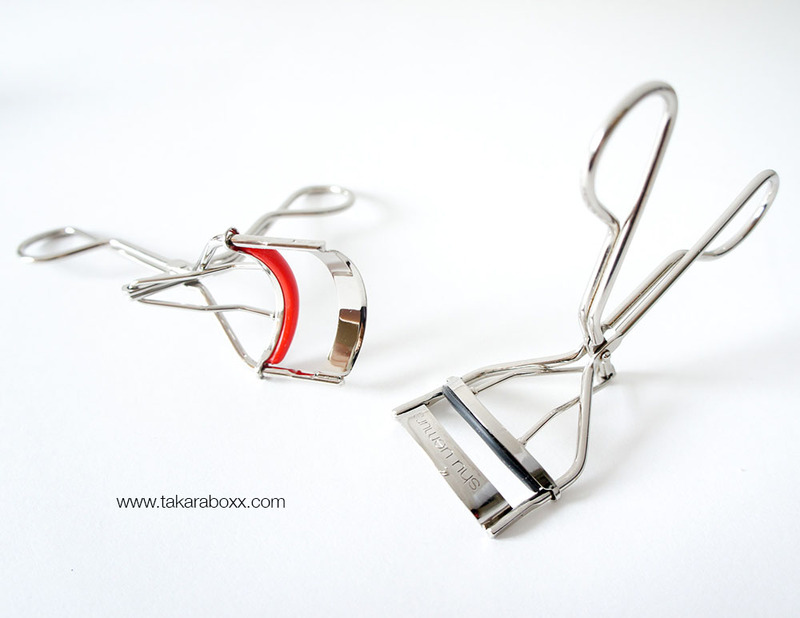 In all, both are lovely eyelash curlers that work with my eye shape. If you have an extremely pronounced orbital curve I would not recommend the Kevyn Aucoin simply due to the smoother nature of the curler but if you have asian eyes like me, definitely give both of these a try! 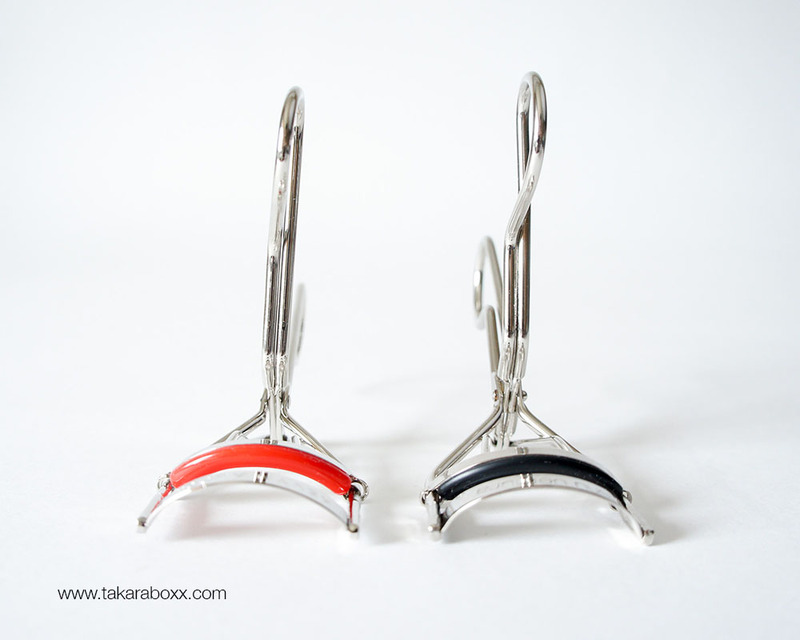 Shu Uemura Eyelash Curler (20$USD / 24$CAD) available at Shu Uemura (dot) com, Holt Renfrew and other retailers. Kevyn Aucoin Eyelash Curler (21$USD / 25$CAD) available at Neiman Marcus, Nordstrom, and other online retailers. What is your go-to lash curler? Ahh hopefully you find somewhere that carries Kevyn Aucoin! If not there are definitely some online beauty sites which sell it. I’m not sure on the shipping prices though. Thanks dear, you’re always so sweet!